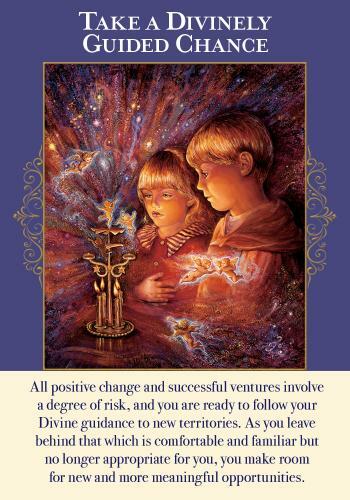 Here is your Angel Card Reading & Channeled Message for the week beginning 6/30. 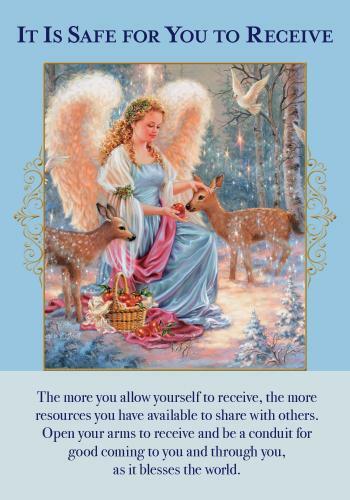 As always, I asked the angels to please give me a clean and clear reading for you, my clients, students and followers. I’m working with a new deck today, Angels of Abundance Oracle Cards by Doreen & Grant Virtue. Let’s see what they have to say! With this card the angels are asking that you relax, and allow the unfolding to occur. Please stop attempting to manage the answer to your prayers and manifestings, and open to receive whatever is attempting to come your way – this might be something totally unexpected, but until you say I am open to receive, it can’t get to you! If you are afraid to open in this way, please call on your guardian angel right now, and ask for help in getting past your fear of receiving something which may be unknown. Ask your angel to be sure to bring you only that which is in your highest good and brightest Light now, dear one. With this card, the angels are strongly encouraging you to follow your intuition and to follow your Light into that new venture or adventure that is calling to you, even if you can’t see how it will unfold. We often need to take that one step over the threshold, and then the angels instantly whisk us along into the new unfolding before us. The angels are asking me to remind you that the angels can help you get to that doorway, but you, yourself, must take that one step over the threshold on your own. If you need help, please call on Archangel Michael to give you courage, and to release your fears of the unknown, and then do it, dear one, take that step! You are so loved. Please remember that the angels are always available to help you, but you must ask them for them to step in. And no ask is too big or too small from the angels perspective. angel reading	open to receive, receiving, take a chance, we all have a guardian angel!